One California restaurant has no shame in its fried-chicken game. 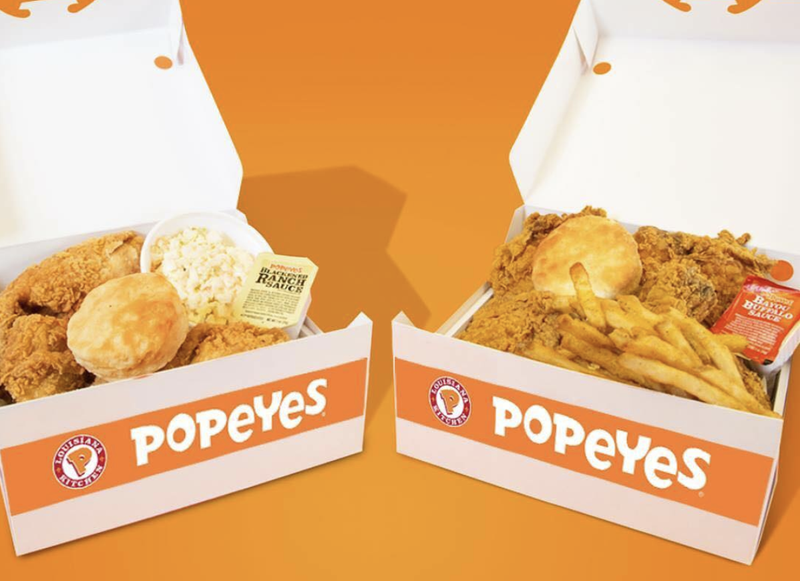 After a customer in the Long Beach, Calif., restaurant noticed an employee with a couple of Popeyes chicken boxes, Sweet Dixie Kitchen got its spot blown all the way up. But the best part is that the restaurant didn’t deny it. Before my friends and I got seated we saw them quickly bring in two large boxes of Popeyes to the kitchen. I ordered the Chicken and Waffles to see whether or not they were serving Popeyes to their customers. I thought the chicken tasted suspiciously like Popeyes and was also rather stale. I kindly asked our waiter how they cooked their fried chicken. After checking he admitted that they do in fact use Popeyes. Sweet Dixie owner Kimberly Sanchez appeared to reply to the review, saying that they “proudly serve Popeyes spicy tenders.” The coldest piece was that Sweet Dixies upsold the chicken, charging $13 for the meal, according to Fox News. In an interview with Fox, Sanchez said that she started using Popeyes two months ago for two new dishes: fried chicken and waffles and a fried chicken sandwich. “I tried Costco chicken, I tried Restaurant Depot chicken, and then I went to dinner at Popeyes and knew this was the chicken we had to use for the store. It’s the best chicken,” she said. Ain’t no shame in her game.